Dorothy Lamour dedicates New Orleans Street. Note the Frito Kid on the far right. 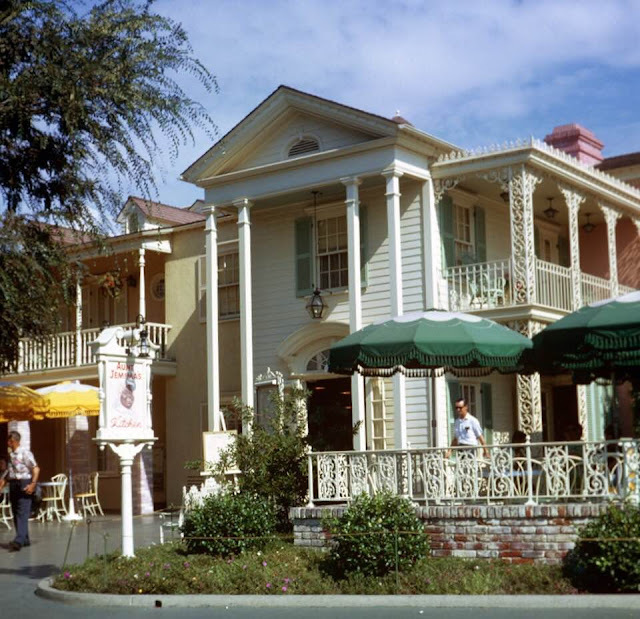 On Tuesday, August 9, 1955, New Orleans Street opened at the riverbend in Frontierland, on the path leading to the distant freight train depot. 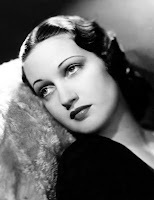 Big band singer and film actress Dorothy Lamour headlined the event. Born Mary Leta Dorothy Slaton in New Orleans, she brought her second husband William Howard to the event, and we have to assume they brought their sons, aged 5 and 9, but they were not part of the show. Lamour had a relationship with J. Edgar Hoover and she was a Republican who felt that President Eisenhower was too centrist. 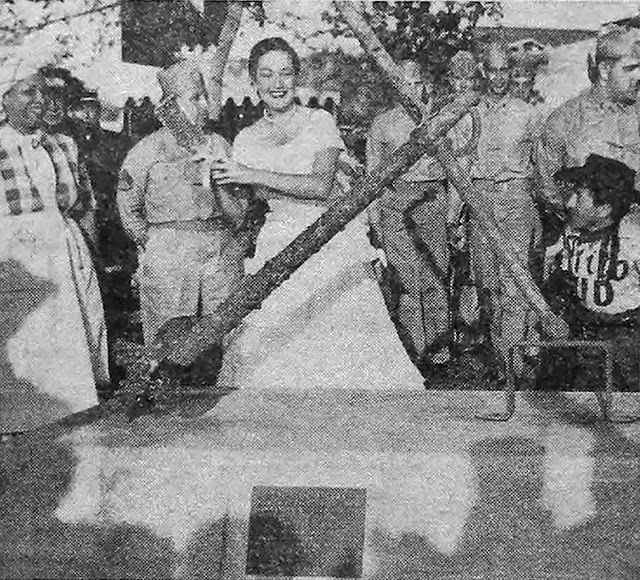 Disney threw a Mardi Gras (Fat Tuesday) with street dancing—music supplied by the Disneyland Band and a smaller Dixieland Jazz contingent—entertainment by the cast of the Golden Horseshoe Revue, and a pancake-eating contest, won by a ten-year-old Anaheim boy. Apparently, neither Walt Disney nor General Manager C. V. Wood, Jr. attended the press event. A horse-drawn surrey delivered Dorothy, William, and a little person actor wearing a white shirt identifying him as the "Frito Kid," with a scarf around his neck and a black cowboy hat on his head. They were joined by unidentified soldiers and by authentic Plains Indians from the Magnolia Park encampment nearby. "It looks exactly like the wonderful city in which I was born," Dorothy, 40, told the crowd. Lafitte's barnacle-encrusted anchor was on display nearby and Lamour smashed a bottle filled with water from New Orleans against it. The Aunt Jemima Pancake House was finally open. Jemima was a character created in 1889 to sell pancake mix. The company became famous at the 1893 Chicago World's Fair. Quaker Oats, of Chicago, acquired the rights in 1925. The stereotype of the black domestic was similarly long-lived, including the maid in the Disney short Three Orphan Kittens (1935) and Academy Award-winning actress Hattie McDaniel’s character, Mammy, in Gone With the Wind (1939). McDaniel (who once famously said, "I'd rather play a maid than be one") also portrayed Aunt Tempy in Disney’s Song of the South (1946). Another actress portrayed Aunt Jemima for the televised opening of Disneyland on July 17, but the pancake kitchen was not ready to serve food. Unlike any other restaurant at Disneyland, you could eat at Aunt Jemima's outside the park at several locations around the country in the late 1950s. Chain pancake houses were not yet a thing. The Waffle House® chain began in Atlanta on Labor Day 1955, and Al and Jerry Lapin created the International House of Pancakes® in Toluca Lake (where Roy Disney lived) in 1958. 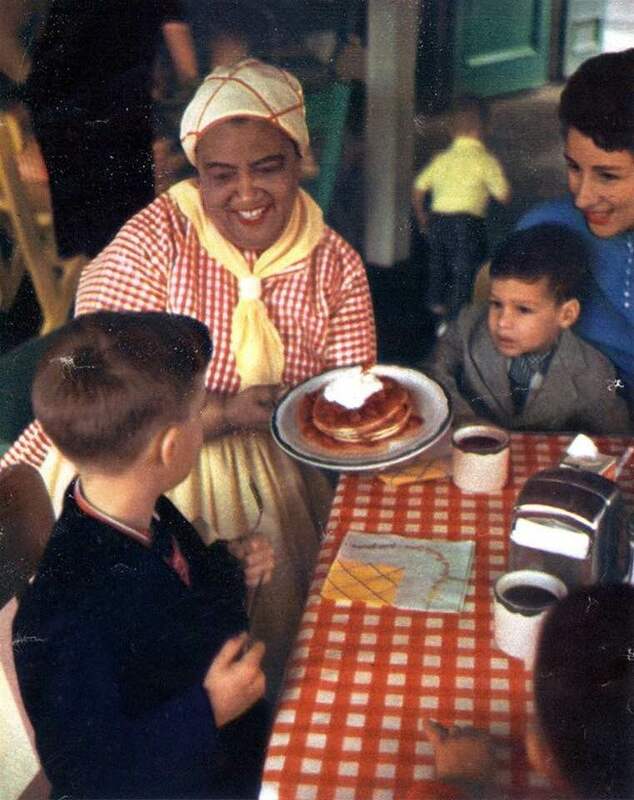 The tiny food counter next to Aunt Jemima actually began operations later in the week. The menu included two enchiladas for .45¢, a "Taco in a Tacup" for two bits, or a combination plate for a dollar. Mexican food was strange and exotic outside the Southwest U.S. at the time. Out-of-town visitors, and even some locals, were unlikely to know what a "tamale" was or how to pronounce it. Elmer Doolin created the corn chip snack he called Fritos in 1932 in Dallas, Texas. The restaurant also sold bags of Fritos—it was listed as both Merchandising and Food in the Story of Disneyland guidebook. A statue of Frito the Kid dispensed snack packs for a nickel. 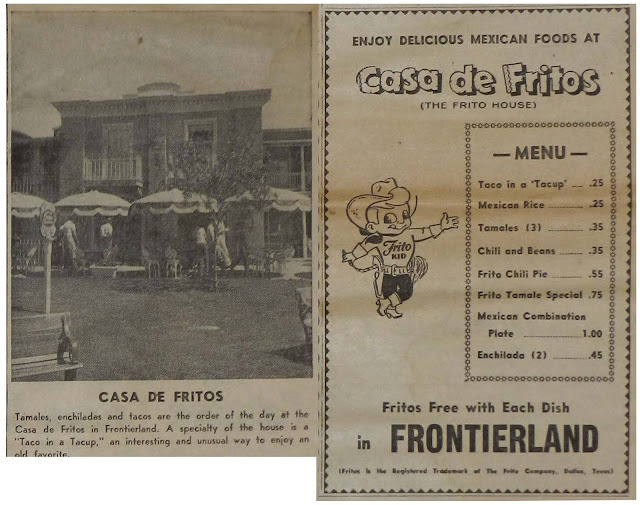 The little kitchen was called the Frito House in one newspaper account, but in Spanish, that's Casa de Fritos. Doolin merged with Herman W. Lay’s potato chip company in 1961 (forming Frito-Lay) and with Pepsi-Cola in 1965, forming Pepsico, a company that now could both create and satisfy a thirst.